Astrology – What is it? 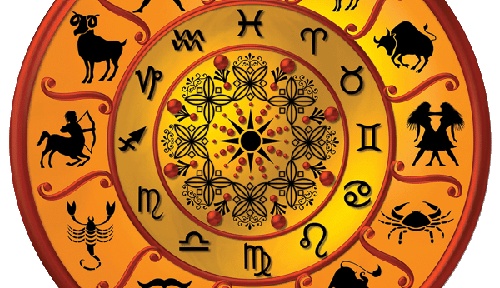 I am an astrologer as well and have been since 1990. But what is astrology and what can you do with your birthchart? You are born on a certain place, time and day. At that moment the planets are at a certain point at the sky. They are in a certain sign and do make certain aspects with each other. If you are going to read and explain these data, then you have the blueprint of your life. You then know why you are here on earth. I know that we all choose to be born on earth. It is on earth that we can learn the best what our soul needs to progress. We also choose our parents and family and the main things that happen in our life. But further than that we are free people, so we decide ourselves what we do with our lives. That will take many lives. In those lives we make many mistakes; some are so serious, that we get the bill for them in another life. Suppose: we abuse our power towards somebody; then it is so, that in another life we will be abused ourselves. This sounds hard, but if you can learn to think that way, you also understand, that it is good to live as good as you can. Everything you think or do, you will get back to you, in good and bad (=karma). That is why some very young children are capable of drawing beautiful paintings or play the piano very well. They take those abilities with them from other lives. It is logical to try to be positive all the time; not act bad, when somebody is bad towards you. This of course is not easy. It requires disciplin and also try to live very consciously. Many of us will remember situations in which they were without power. It takes acceptation and understanding to cope with that. Still these kind of situations will come to an end. And if we have done better, what we have done wrong, we can go on and our soul has progressed. Most of the time our life will become more easy, the older we become. But only when we learn our lessons of course. Therefore I put so much emphasis on the things we can learn in our lives. Because they are the most important for our soul. Of course we are also on the earth to enjoy everything. The earth is a beautiful place. So enjoy it! If you want to read more about what I think of astrology, you can go here.